The Government should provide greater support for investment in conference and meetings facilities, after its new tourism policy highlighted the UK is "comparatively weak" in the conferences and conventions market. Tourism minister John Penrose unveiled the new tourism policy today (4 March). As well as highlighting its new £100m marketing campaign to attract more visitors to the UK, the policy states that business travel is an "important element" of the sector. However, the policy states: "We’re comparatively weak in the lucrative international business conventions and conferences market, but are improving rapidly as large and modern new facilities such as Excel in east London come onstream." Business Visits and Events Partnership (BVEP) chairman Michael Hirst said more "active ministerial support" was needed. "Large scale investment continues to be made but such expenditure requires government incentives," he said. "The assistance we keep asking for in events bids need more active ministerial support across Whitehall as is common in competitor countries if Britain is to improve its international ranking." The policy plans to create "strong, new and independent tourism bodies", that will be backed up by industry. However, the strategy comes as Visit Britain is in a consultation process that will see its entire business tourism team disbanded. 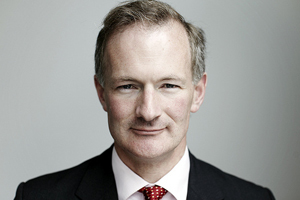 During a Conservative Party seminar on tourism on Wednesday (2 March), John Penrose was questioned on whether the withdrawal of Visit Britain from promoting international conferences, trade shows and business visits ran counter to the Prime Minister’s declared intention that Britain’s missions overseas should step up their economic development role to boost an export led recovery. The Minister said Visit Britain would still support bids to attract international business events and it was his intention to carry out a review of what the business events sector in Britain needed to be more competitive in business event promotion. Meanwhile, a new all party group for the events sector is set to hold its inaugural meeting at the end of March and is planning to consult with BVEP on issues to be raised in Parliament.